Well, I did it again. I escaped on another road trip. As a gal who takes Montana adventures seriously and who spends quite a bit of time traveling around the state, I know there are a few places within easy reach of home that offer the kind of peaceful escape I was after. 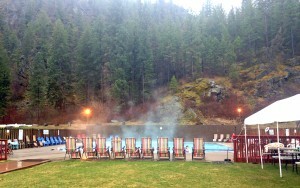 Knowing this, I packed a bag and made a dash to one of my favorite places: Quinn’s Hot Springs Resort. 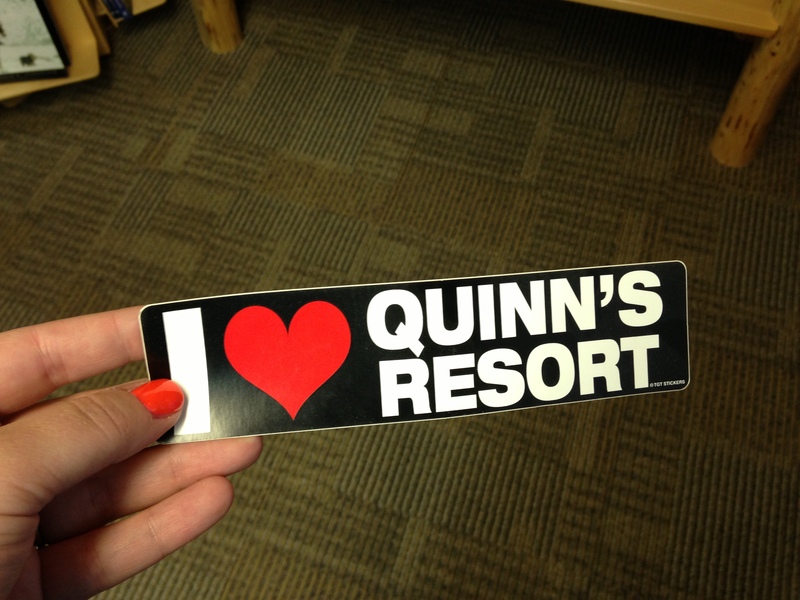 While I’ve raved about Quinn’s in the past (you can read about it here), this trip was different…in an absolutely wonderful way. 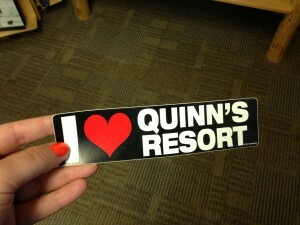 While my stay at Quinn’s was short, it was practically perfect. The accommodations were wonderful (the idea of packing the sheets in my suitcase may have crossed my mind), the food was delicious and the comfort level was superb. 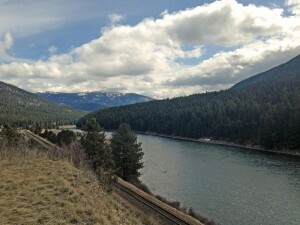 The view from the St. Regis-Paradise Scenic Byway. 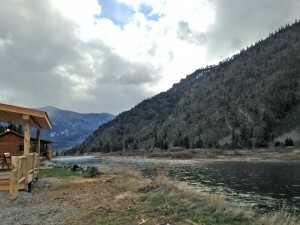 En route to Quinn’s Hot Springs Resort. 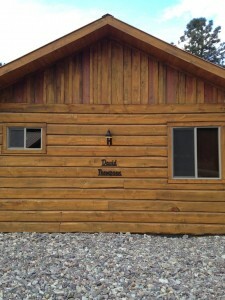 During the past several months, the resort has been adding private cabins on the bank of the Clark Fork River. 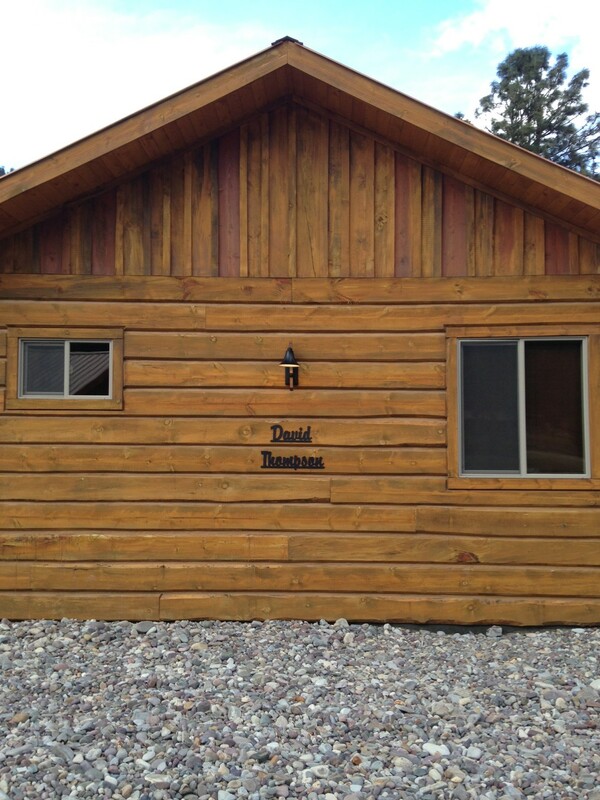 And while the cabins themselves are gorgeous and comfortable, the thing I loved most about them is that each cabin is named after individuals who have played a major role in Montana’s history, including Charlie Russell, Bob Scriver, David Thompson and Jim Bridger. 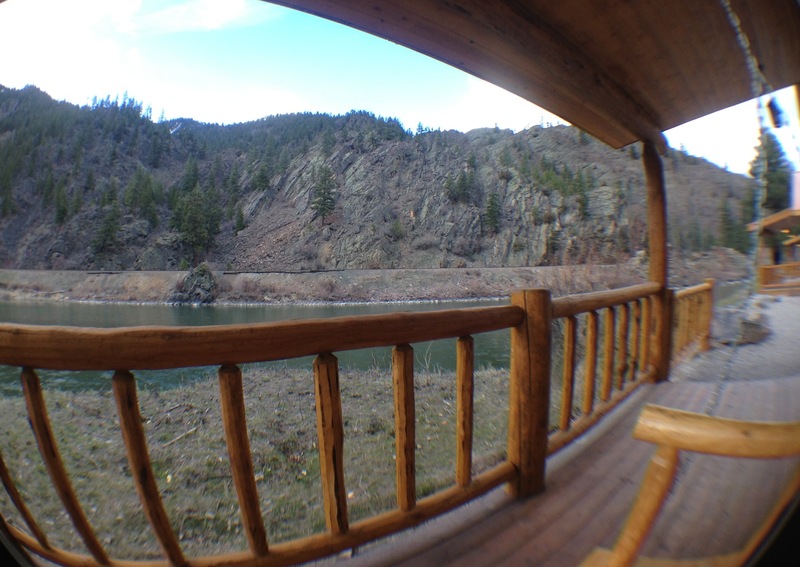 The view from the Bob Scriver cabin, named in honor of the Montana artist and sculptor. Looking downstream the Clark Fork River. It was exactly what I needed. Where’s your favorite place to escape? 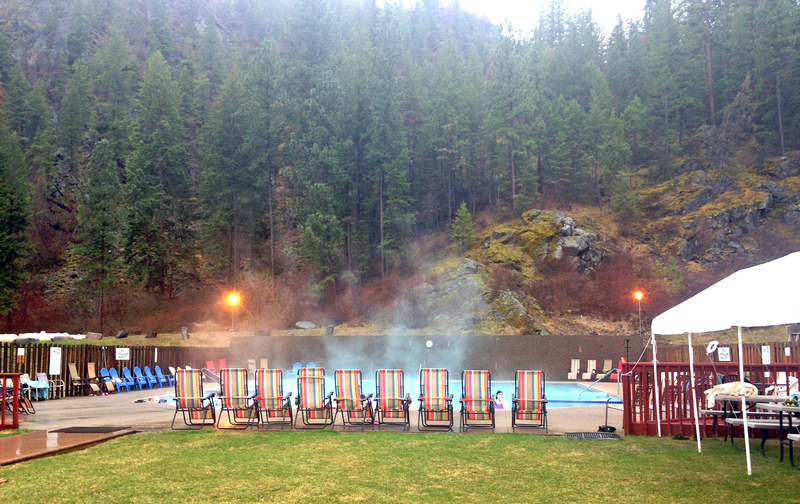 This entry was posted in Uncategorized and tagged Hot Springs, Montana on April 2, 2014 by tiatroy. How wonderful, Don! Thanks so much for sharing that with me. I really love his work. 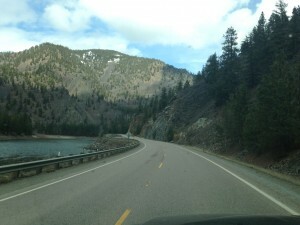 Just passed thru Paradise on our way home to Oregon from Glacier NP. I was floored by the beauty and told my husband that sometime before I die I want to go back and stay there a while…it seems almost magical. Immediately googled it and found your post–thanks. By The Way – Montana exceeded all of my expectations! You have a truly beautiful home.